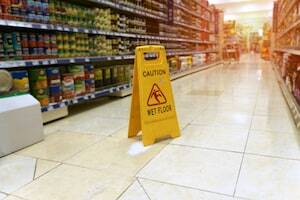 Walmart is a large corporation so if you've were injured due to an accident at Walmart in Cape Coral, you should call the best Walmart accident lawyer in Fort Myers/Cape Coral you can find as soon as possible. Walmart may try to offer you small compensation, even gift cards, to get rid of your claims, but you shouldn't accept it before consulting an attorney. They rarely offer the amount of money that you deserve for the injuries they have caused to you. Instead, call our Cape Coral Walmart accident attorneys at the Wolfson Law Firm in Fort Myers to help you determine how to proceed with your claim. Don't try to do it alone because fighting alone against Walmart is never an easy task. Reach us at 239-777-9954 for your free consultation. We handle cases on a contingency basis, so you won't pay anything until we recover compensation from Walmart for you. Cape Coral is the largest city in Southwest Florida. It is estimated that 180,000 people live there, and most of them speak English as a first language. Unlike other South Florida cities, people from Cape Coral do not make a living from tourism. The city is not famous for the beaches; hence the largest employers are Lee Memorial Hospital, Publix Supermarket, Walmart, the City of Cape Coral, and the Lee County School System. Cape Coral is located north of Fort Myers. The two cities are divided by the Caloosahatchee River and two main bridges - Midpoint Memorial Bridge and Cape Coral Bridge. On the west, it overlooks Pine Island, North Fort Myers is on the east, and Burnt State Marina and the Yucca Pens Unit State Wildlife Management Area are on its northern borders. The Interstate 75 (I-75) passes next to the city offering connections to Miami and Tampa. Walmart has strong and experienced negotiators on their team. Corporate defendant's usual tactics include delaying and not paying, expecting you to quit eventually. They do it even when the injured person has a lawyer because they know that all lawyers don't go to trial. We are not of those lawyers. Our Cape Coral Walmart accident attorneys at the Wolfson Law Firm stay with the client until the case is resolved through settlement, trial or even an appeal. We work hard to streamline the process. First, we provide Walmart with a compensation demand of what we think it is fair for you and give them reasonable time to respond. If they don't, we file a lawsuit against them. We want to resolve your case as soon as possible, but not at the expense of the compensation you deserve. Our goal is to get every client the full, fair and complete compensation they deserve. We don't ask our clients to pay us until we recover for them. If we don't recover, you don't pay. Call us now at 239-777-9954 for your free and no-obligation consultation and let's get to work on your accident claim against Walmart. The Wolfson Law Firm is at 3049 Cleveland Ave #140, Fort Myers, FL 33901. Our Cape Coral personal injury lawyers humbly serve the communities and neighborhoods of Southwest Florida including Lehigh Acres, Sanibel, Fort Myers, Lochmoor Waterway Estates, Harlem Heights, Cape Coral, Punta Rassa Buckingham, Gateway, Pine Island Center, Cypress Lake, Babcock Ranch, Tice, Matlacha Isles-Matlacha Shores, Palmona Park, Boca Grande, Iona, Page Park, McGregor, Alva, San Carlos Park, Bokeelia, Matlacha, St. James City, Captiva, Whiskey Creek, Pine Manor, Fort Myers Beach, Charleston Park, Suncoast Estates, North Fort Myers, Three Oaks, Burnt Store Marina, Fort Myers Shores, Tanglewood, Bonita Springs, Olga, Pineland and Estero.